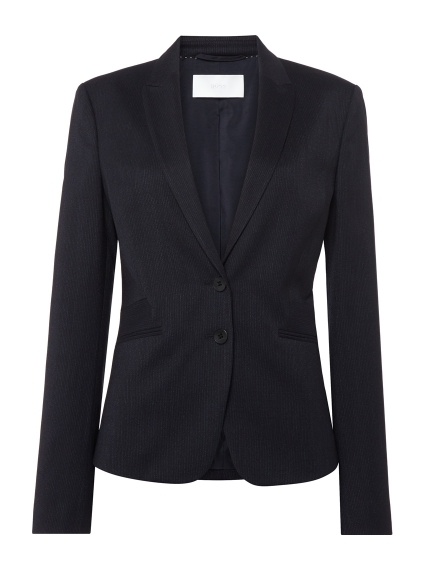 A feminine blazer by BOSS Womenswear, crafted in virgin wool blended with stretch for an easy wearing experience. Woven with a tone-on-tone vertical stripe, this tailored jacket features peak lapels and buttoned cuffs, and is fully lined to offer a comfortable fit. Team this elegant blazer with the coordinating Vimahina pencil skirt for a contemporary professional look.